Lynx Hooks are sold in pairs and come in a variety of awesome colours, from hi-vis orange to camouflage green. 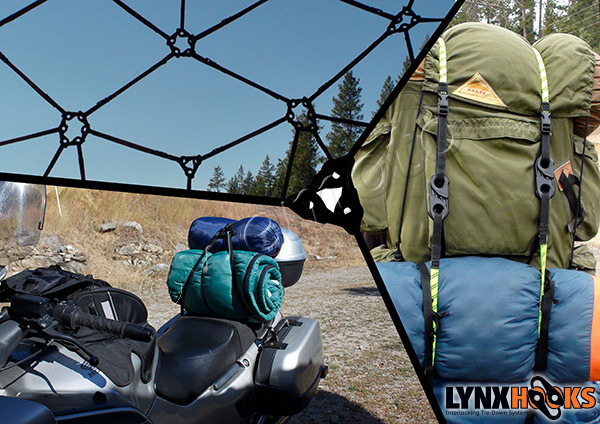 Lynx Hooks are fully adjustable, versatile, flexible and safer than traditional bungee cords. Use the interlocking hooks to link Lynx tiedowns together in a line, making one secure strap of limitless length. Even better - interlock three, four, five, and more hooks together to make a spider net or custom cargo net to exactly fit your needs. Lynx hooks connect effortlessly and click when secure. Once locked, they won't separate until you want them to: by pinching the hooks together. Lynx hooks are fully adjustable from 19" to 45" (that's 48cm to 114cm). With traditional bungee cords, you usually end up carrying a bucketful of differing lengths around, or tie knots to get the right length. You only need one Lynx strap to cover anything between 48cm and 114cm, and if that's not enough for you, you can securely link two straps together to make one solid double-length strap. 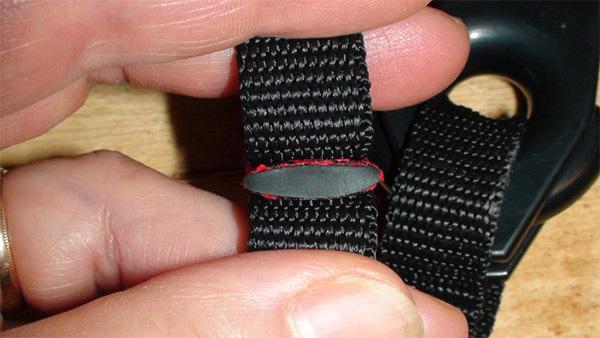 Lynx straps can be hooked on to an anchor point and then adjusted to the correct tension. So no more "bungee-backfire" (or bungee catapult) while trying to stretch-and-hook a conventional bungee cord. Lynx use 'ROK' solid rubber straps. This premium quality rubber makes them stronger than traditionally constructed bungee cords, which are made with elastic fibre. The rubber straps are protected with top grade polyester - more expensive than nylon, but more resistant to the weather so will outlast conventional bungee cords. Tough, field-tested ABS hooks and buckles complete the package - the result is a stronger, safer and more versatile solution than bungie or shock cords.